Kollywood's hero, Vishal, made a splash a few days ago by filing a nomination paper for the RK Nagar bypoll constituency. After so many tragedies, the appointment of Vishal was rejected. 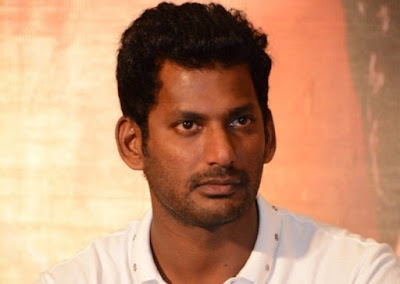 Unlike the elections of Nadigar Sangam and the Council of Producers where Vishal was successful, the episode of RK Nagar turned out to be a big blow for him. On the one hand, his appointment was rejected and, on the other hand, some members of the Nadigar Sangam Producers' Council began to ask him to leave office. When the Producers Council met on Monday to discuss important issues such as the suicide of co-producer Ashok Kumar, satellite rights and piracy issues, filmmaker Cheran began raising allegations against Vishal and demanded the resignation of his position. As there was so much chaos, Vishal concluded the meeting and left saying that the members had used inappropriate language against him. On the other hand, his very close friend, actor-director Ponvannan, announced his resignation to his post to protest against Vishal's decision to report to RK Nagar bypoll. But Vishal later revealed that Ponvannan is not resigning from his post. Considering the ongoing developments, it will be difficult for Vishal to manage Nadigar Sangam and the Council of Producers.